The Project – Vidarte Space has several projects to help underprivileged children from the favelas of Rio de Janerio. Their main project, the Vidanca Dance School, is located in the Complexo do Alemao favela. 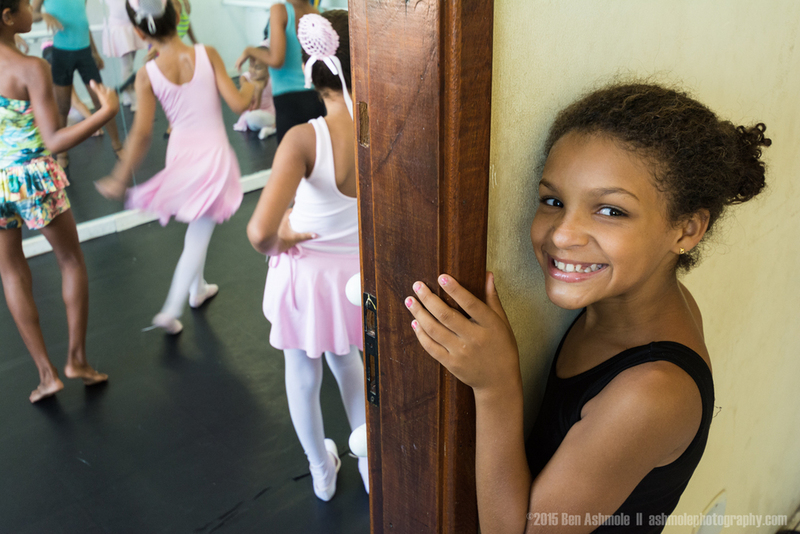 It began in 2009 as an initiative to offer children from the favelas the opportunity to express themselves through the art of ballet. The school also provides the children with the opportunity to participate in activities that would not otherwise be possible due to their economic situation – such as trips to cultural attractions, Children’s Day and Christmas parties with distributions of toys, clothes and hygiene kits. Vidarte Space has also developed other activities alongside the dance project such as theatre, football, audioviusal and surf projects. Our Support – The LATA Foundation is currently supporting the Dance and Football projects and thanks to the support of Las Iguanas, we have been able to install a new floor, mirrors and ballet barres in the dance school. Further information – In 2011 the Vidarte Space had grown to assist 100 children and in 2015 the number has risen to over 400 children. To encourage the children’s wider education, classes and activities at the projects are subject to the pupils’ own attendance in mainstream education. Since opening, three pupils – Larissa, Luis and Yasmin from the dance school have been selected to attend the Teatro Municipal, the Brazilian equivalent of the National Ballet school, developing and growing as great dancers. Luis will soon be applying for the Bolshoi Ballet. We wish him the best of luck for all his hard work.